Education is a crucial field of work for any society. 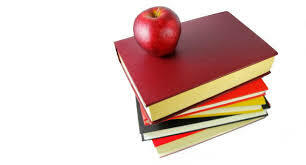 It is very common for English majors to end up working in a field related to education. Teaching may be the profession most people expect you to go into when they hear you are an English major, but this is not the only way to participate in the education field. In addition to teaching in elementary and secondary schools, English majors go into counseling, administration, special education, academic services and many other related fields. All these professions are rewarding because they contribute to the overall wellness of a society. Teaching is a rewarding profession. Many English majors enter their course of study assuming they will go into teaching. ln the world where many professions are disappearing and many new ones are being invented, teaching is a very clear and solid career choice. Nobody is expecting teaching to become irrelevant, and the crucial role of teachers seems beyond dispute (more on all of that below). Even your grandparents will be able to understand what you are doing if you say that you are going into teaching, and chances are they will be really proud of you.Any society worth its salt appreciates its teachers. Teachers provide a critical service to society by educating the young. 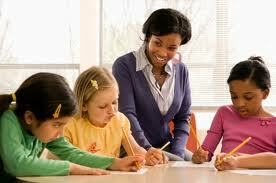 Without teachers, there are no citizens competent to function in their ordinary life. Because of teachers, we do well our their jobs, we understand basic math and economic realities, we get how our government works, and we can grasp political discussion. In short, teachers teach us how get a hold of the enormous amount of information we receive daily and how to make use of it. This is how teachers contribute to the well-being of all segments of society. Teachers in public schools also ensure that all citizens have access to education and to the opportunities that education creates from the earliest days in school. This is why public education is regulated so strictly by the government: its benefits are so important that they cannot and should not be left to chance or improvisation. Governments plan and structure education so as to allow the society to flourish. For any person involved in teaching, the thrill of the work is that they can see students transformed in front of their very eyes. You may be thinking about this line of work precisely because someone was that kind of transformative influence on you. 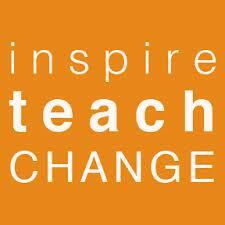 Teachers get to change the lives of many young people over time, and this is extremely gratifying. Students remember forever their good teachers and the lessons they imparted about their academic subject, but also about the society and about good individual life. Teaching is not a typical office job many people get after college. Still, it is a job that requires constant human interaction. This interaction is always dynamic (because students rightfully expect teachers to be prepared for and interested in teaching) and it is demanding. Explaining complicated concepts is hard and good teachers are good at understanding how to make complex issues accessible. There is great satisfaction in conveying a new idea to a student for the first time and seeing a student grasp more and more complex material. On the practical side of things, teachers in public schools are unionized, they have health insurance, and their employment is fairly secure. Teachers in most schools have their summer months off. This is the envy of any other profession in which most weeks and months of the year are about the same. Although the hours during the regular semesters can be long, once the break comes around, teachers spend some time preparing for the following academic year, but they can organize their hours and days as they wish. Some teachers become administrators and their compensation is significantly larger than that of teachers, a reflection of their responsibility for ensuring that the operations at schools are smooth and that their activities comply with legal, social, and ethical standards. Although much is said about how important education is (politicians are especially good at paying it lip service), teachers are often accused of being overpaid for the work they do. Teachers are in a not-for-profit field. Unlike people who work in organizations that make profit, teachers depend on the contributions from those who use their services. Their pay in the public schools is tied to property taxes in the area where they teach; in private schools their pay varies by subject, the geographical area where they teach, and the kind of school that employs them. (tax payers, parents of students in private schools). If you think about teachers’ monetary compensation as a direct reflection of the society’s perception of their importance, it may appear that the pay is not adequate to the amount of effort and responsibility that goes into forming knowledgeable, ethical, sociable citizens. 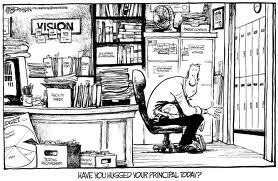 When classes are very large (as they are in many urban public schools), and when students’ needs are great (which they often are in urban public schools), the work of teaching can be exhausting and the pay may seem inadequate for the enormous effort that goes into it. 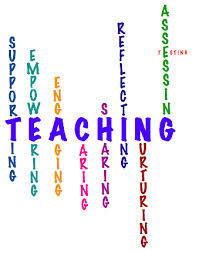 When thinking about a career in teaching, it is important to consider one’s personal career priorities. If monetary compensation is your top priority, teaching is probably not for you.